Following a few years of uncertainty with TPD regulations and Brexit, the e-cigarette industry is still on an upward trend. 2018 saw the rise of the Juul in both the US and UK, an increase in both demand and supply for new vaping technology and more support from public health bodies. With a global projected CAGR of 20.8% in the next decade, the vaping industry and manufacturers are evolving as quickly as possible to cater to an evolving market. In 2018 the number of vapers in the UK broke 3 million and on top of that there was a 30 fold increase in vape shops on the high street. Following more support and from the likes of the NHS and Public Health England, vaping and its reputation is seen as more valid and legitimate amongst smokers. Add to that campaigns like Stoptober and Vapril encouraging smokers to try vaping as a legitimate means of smoking cessation, we’re expecting to see an increase again in the number of entry level vapers in 2019. While the market for advanced vaping equipment is fairly saturated, the biggest gap currently is in the entry level market. With the Juul taking up a 74% market share over in the US, pod kits have proven to be a simple and accessible way for consumers to try vaping. With one person making an attempt to quit smoking every 80 seconds in the UK, providing simple e-cigarette solutions will be a focus for manufacturers and vape retailers. It’s likely that pod kits themselves will also evolve. While they’re the most basic in terms of design and usability, there’s already a trend in more intelligent technology. From a rumoured Bluetooth Juul update to pod mods with advanced chipsets, vapers can now get a high-end experience from their very first vape. Along with pod kits themselves, the corresponding pods for existing kits will likely become more diverse. With e-liquids for Sub Ohm tanks and more advanced vapers being well catered to, closed pod systems are still somewhat limited. Expect to see an increased range in flavours for pre-filled pods. Adding to this, with many ex-smokers needing a high level of nicotine concentration, it’s likely that the pods will typically come with the more potent nicotine salt e-liquids. When it comes to high VG, sub ohm liquids, there are new brands being established the world over every week. Pods on the other hand, especially the closed pod systems, are a little more limited at present. They’re single use and only compatible with the pod mods they were made for. Those wanting to use the flavours and e-liquids that are compatible with advanced kits are currently somewhat limited. 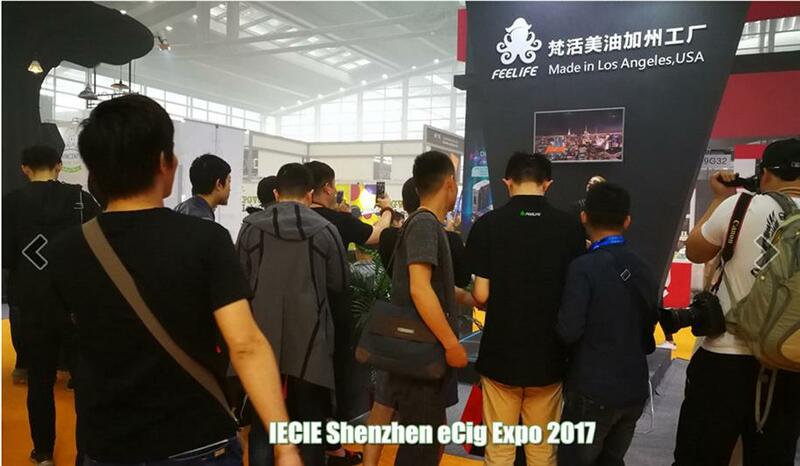 To rectify this, expect to see more collaborations between e-cigarette and e-liquid manufacturers to better provide for the pod mod users of the world. An example of where this is already happening is the popular entry level kit, the Aspire Gusto. In 2018 they collaborated with UK manufacturer Vampire Vape and Malaysian e-liquid brand Nasty Juice to create more pod flavours (on top of the wide existing range from Element). Vampire Vape offered up a Heisenberg nic salt pod, while Nasty Juice brought their Slow Blow offering to market. Nic salts became mainstream in 2018 and due to their popularity amongst transitioning smokers it’s likely the demand for nic salts will increase in 2019. Plenty of brands are already taking the flavour profiles of their best selling liquids, dropping the VG content and adding nic salts. On top of that, we’re predicting we’ll see a trend in nic salt nic shots. In the EU, pre-mixed nicotine e-liquids have a maximum bottle size of 10mls. Anything over that needs to be nicotine free. Nic shots are the concentrated solution to this – add one to a short fill and the user can customise their nicotine strength. Currently most nic shots are still the freebase nicotine formulation you generally get in most e-liquids. For those looking to have a super smooth flavour and a faster nicotine hit while still using their Sub Ohm tanks – nic salt nic shots can provide that solution. There are a few on the market already but as the vaping industry evolves and more people go from mouth to lung vaping to direct to lung, we anticipate an increase in demand here. Towards the end of 2018 we saw an increase in the number of smaller shortfills, particularly from UK based brands. We’re expecting this trend to continue into 2019. The most common size of a shortfill is generally 50mls with a 10ml gap to add nicotine. Smaller bottles give customers the opportunity to try a flavour without committing to a lot of liquid. Like the larger bottles, they can be mixed to a custom nicotine strength all while being more cost effective than pre-mixed 10ml bottles. The massive growth we’ve observed stems not just from support from public health bodies like the NHS and PHE but also due to the innovation of e-liquid and e-cigarette manufacturers. E-liquids nicotine levels and varieties are the biggest variables in vaping. The range of flavours, strengths and how they’re delivered play a massive part in how accessible and useful they for transitioning smokers. Following advertising reforms in the latter half of 2018, e-cigarettes can now also be marketed as a safer alternative to smoking. Greater numbers of smokers will be exposed to their efficacy and ease they offer when it comes to quitting, making it likely the 3 million existing vapers will be just the beginning.